Not only are these Conquerors Greaves great for wearing to enhance your stylish look, but they are also a great piece of protection to wear to keep your lower legs safe and secure in battle, combining leather and steel into one protective piece. 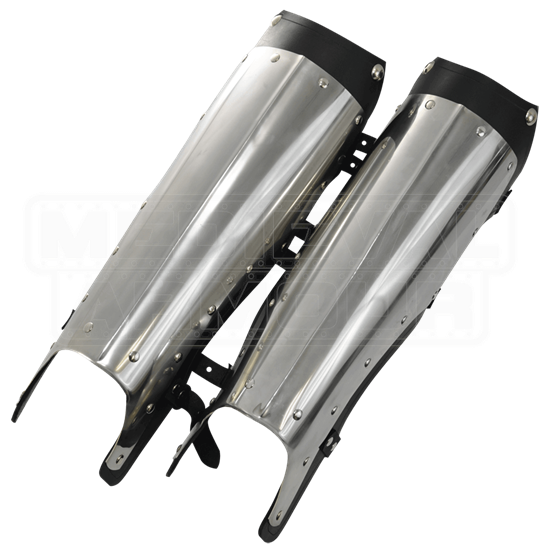 These greaves are crafted entirely from leather and steel, utilizing the steel over the leather to create multiple layers that work wonders for decreasing the impact and protecting legs from any blows that might find the legs during LARP combat or mock fights. The 9-10 oz. black leather acts as the first layer against the leg, while the 18 gauge stainless steel plate over the leather is the first defense against an impact. These greaves are worn using a trio of leather straps and buckles along the back that fasten around the legs and hold the greaves in place. They are only available in one color and one size, although thanks to how they are worn, these greaves also happen to be quite adjustable, as they can be made to fit a variety of different leg sizes with ease. 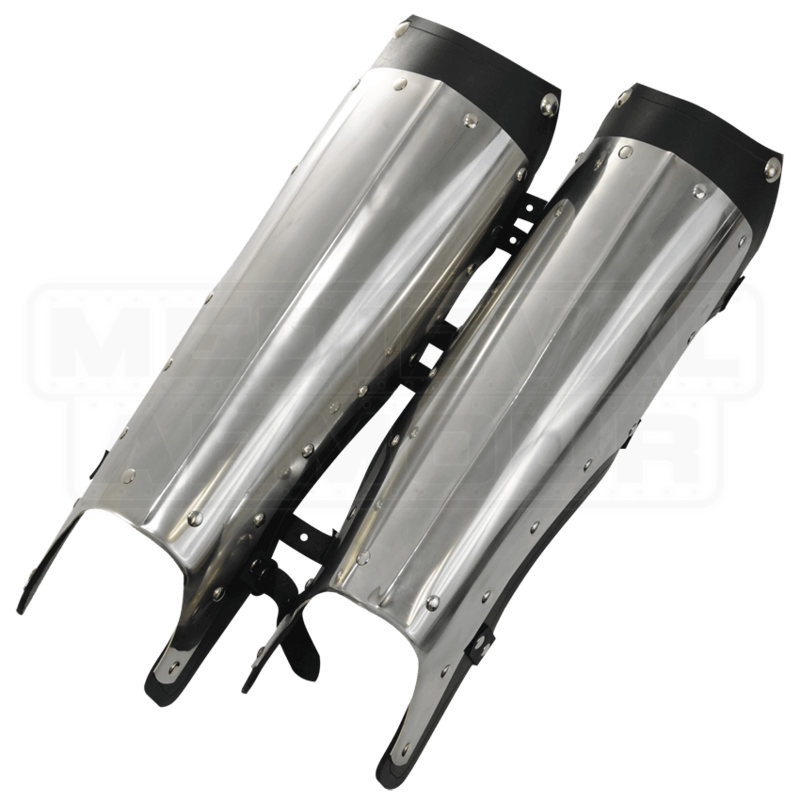 Simple and straight-forward, these Conquerors Greaves are the perfect way to protect their legs, so long as they do not mind looking like a real medieval warrior when they wear them.